On writing about teen Latina’s suicidal ideations and attempts online: Some words of caution. Is psychology about problem solving or problem making? 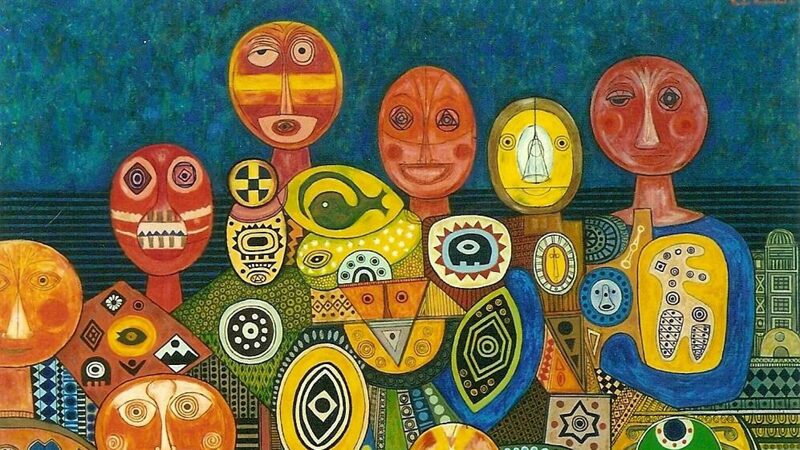 Some believe that instead of listening to people’s problems, mental health providers make different groups of people INTO problems. Some believe that social media creates the illusion that life is full of problems. What happens when a psychological “problem” with a sensationalist potential such as suicidality, is found to have connection with a group of people identified as “problematic” or “at risk” such as young Latinas? And to top it all off: what happens when those findings become the source of media attention? The results may be unexpected. On one hand, an issue of critical importance such as the one addressed in this project might obtain the public attention it deserves. On the other hand, presenting the issue in a sensationalist manner may have damaging consequences such as misinforming the public, and most importantly, the magnification and creation of additional difficulties against a group of people already stigmatized, in this case young Latinas. Although rates has declined significantly during the last 10 years, young Latinas still have the higher teen pregnancy and higher school dropout rates than their white and Black peers. Since 1991, it has been well documented that adolescent Latina girls have a higher rate of suicidal thoughts and attempts than adolescent girls belonging to other ethnic groups. This worrying trend garnered media attention in 2006, right after the first series of articles by Elaine Rivera appeared in El Diario/La Prensa. Rivera’s articles seem to have triggered further media interest in Latinas who had contemplated suicide, as indicated by the number of news stories and blog posts that appeared on the internet from June 2006 to August 2016 in both English and Spanish. However, the manner in which this highly sensitive topic has been presented in headlines by the media has been problematic. Of thirty-nine headlines from articles and blog posts reporting or commenting on the topic, more than half provide inaccurate information, most overemphasize violent language, and only a few carry compelling and explanatory power. Words in headlines are intentionally emotive to make an impact on readers, but words have power. Intentionally or not, the words “suicidal rates,” “suicide epidemic,” and “Latina Suicide” create a false reality for the audience, especially for those who only read headlines and not the full story. News headlines act as forerunners to news reports. By reading the headlines exclusively, the reader is very likely to conclude that young Latinas are dying by suicide in greater numbers than any other teenagers in the country—something that is far from the truth according to official statistics. 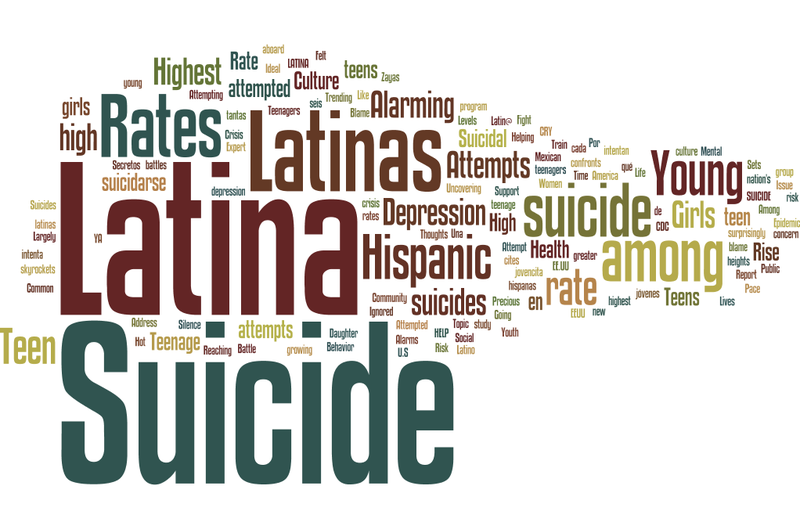 Eighteen headlines use the term “suicide” or “suicide rates” instead of “suicidal thoughts and attempts.” To add to the media distortion regarding suicidal Latinas, 23 of the 39 headlines include expressions such as “crisis,” “epidemic,” “reaching alarming levels,” “sets off alarms,” “rates on the rise,” “highest,” “alarming rates,” “growing concern,” “fight for their lives,” “spike,” “culture of silence,” and “cry for help.” All of these expressions not only convey the urgent sense of crisis needed in this case, but also have the power to manipulate emotions. Luckily, 17 of the 39 headlines are written in a compelling and informative manner. “Suicide thoughts and attempts more common in Hispanic girls,” “Why do so many Latinas attempt suicide?”, and “Young Latinas at greater risk of suicide” are some examples. There is no question that the consistently high rates of suicidality in young Latinas needs attention. It is an urgent health issue that without attention can have very serious consequences. On the other hand, writers have a responsibility to inform the public in thoughtful ways about such an emotionally laden issue, keeping in mind the possible unintended consequences of cementing the identification of young Latinas as “problematic” or as an “at-risk group.” Here, it is important to mention that Latinos, and Latino youth in particular, are the largest consumers of popular media; thus young Latinas will be the most likely consumers of distorted and negative news about themselves.